Memorial Day is observed in the U.S. to honor the country’s servicemen and women, while also unofficially marking the start of summer on the last Monday in May. We’re packing our SPF for the long weekend ahead filled with pool lounging, barbecues and beachside reading — and when it comes to our weekend manicure, we’ll be getting a little festive. After gathering some Pinterest inspiration, we’re thinking this is the perfect time to break out our nail polish kit and get creative with a little DIY nail art. From patriotic red, white and blue color schemes to bright and colorful hues, here are five DIY nail art ideas to kick off your summer. 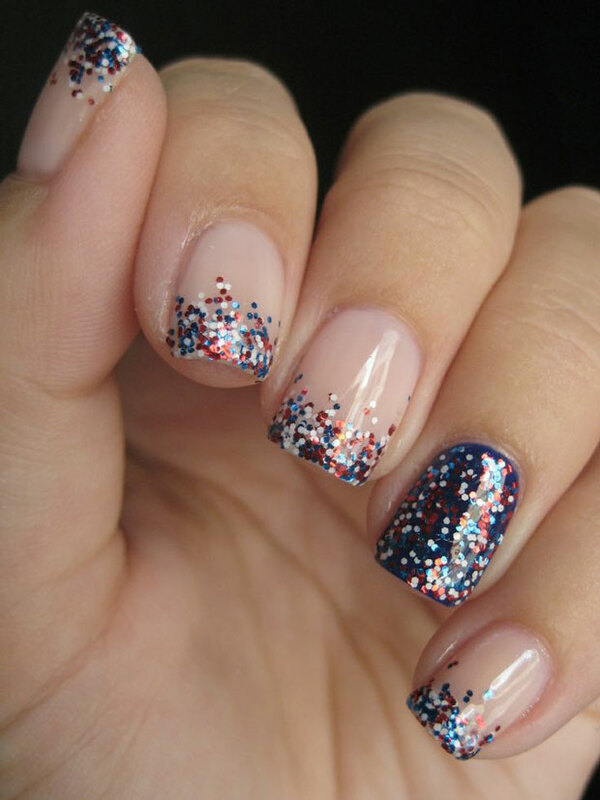 Go for a neutral sheer that complements your skin tone and add a red, white or blue accent nail before glinting up the tips with some cheerful, American-themed confetti polish. For the full tutorial, check out Goose’s Glitter. Nothing is more refreshing than a juicy grapefruit in the summer. 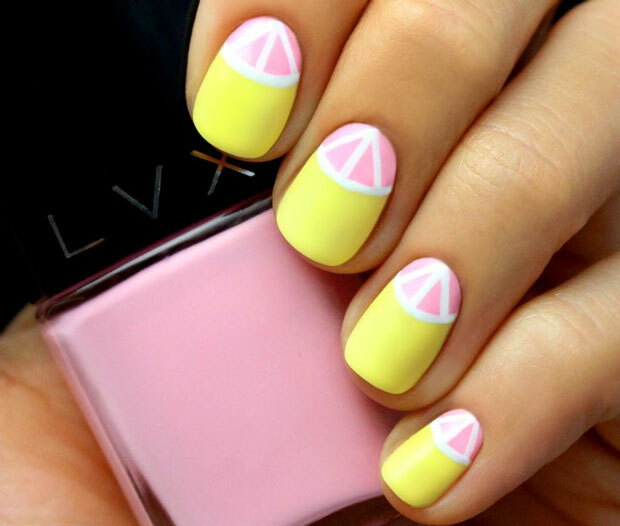 Embrace citrus with a quirky take on the fruit in the form of nail art with bright colors like yellow and pink. Pick your two punchy hues and use white to create the half-circle shape at the base of the nail closest to the cuticle. Check out LuLu’s for the full tutorial. Match your mani to your beach waves with an ocean blue ombre design. The intricate nail art is easy to recreate: Just paint nails white and then apply the light blue shade to a makeup sponge and dab on for the two-tone effect. Take your art to the next level by horizontally striping nails with white polish. 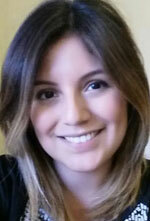 For a detailed tutorial, check out LuLu’s. 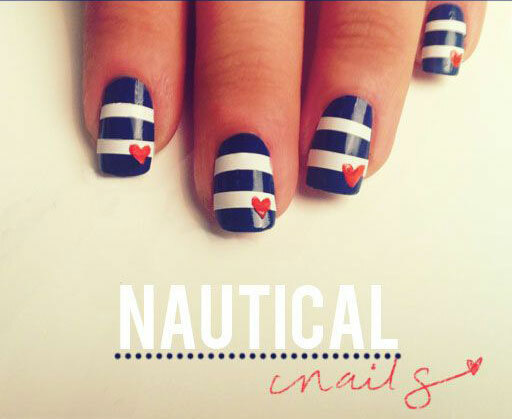 Blue and white stripes are timeless, so when it comes to a manicure motif, this one is a no-brainer. The white stripes are easily recreated using white tape for a precise result and a tiny red heart gives it a cute touch. Get the DIY deets at The Beauty Department. This French mani meets colorblocking combo is just what we need to get us in the summer spirit. Paint nails different colors or choose one bright shade of sorbet-inspired polish and then swipe a diagonal French tip to give the manicure some contrast. For inspiration, check out pshiit.